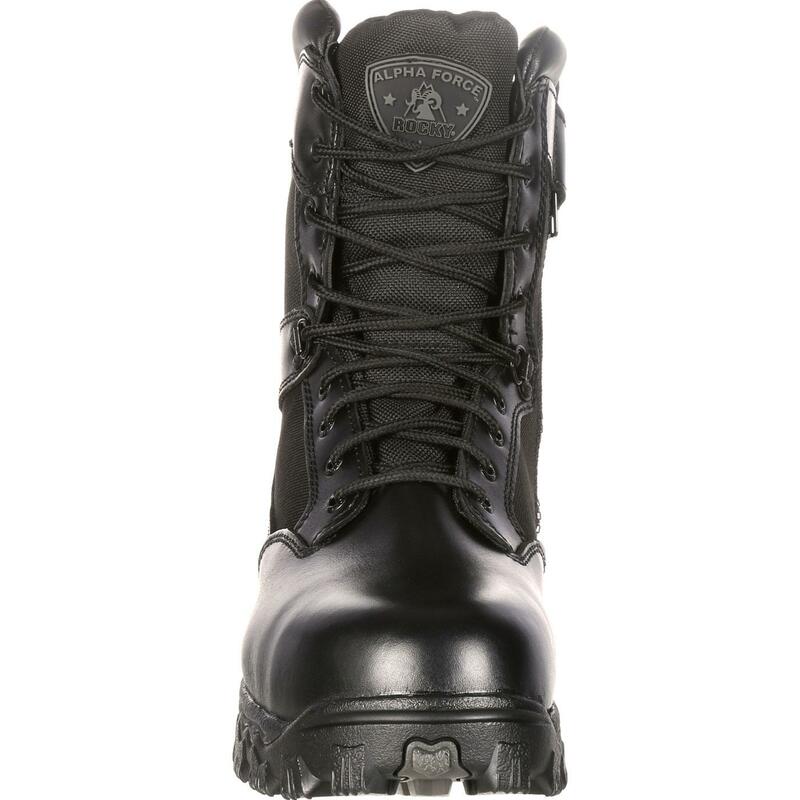 These hard-wearing Rocky® AlphaForce Waterproof Duty Black Boots are made with black full-grain leather and 1000-denier nylon fabric. 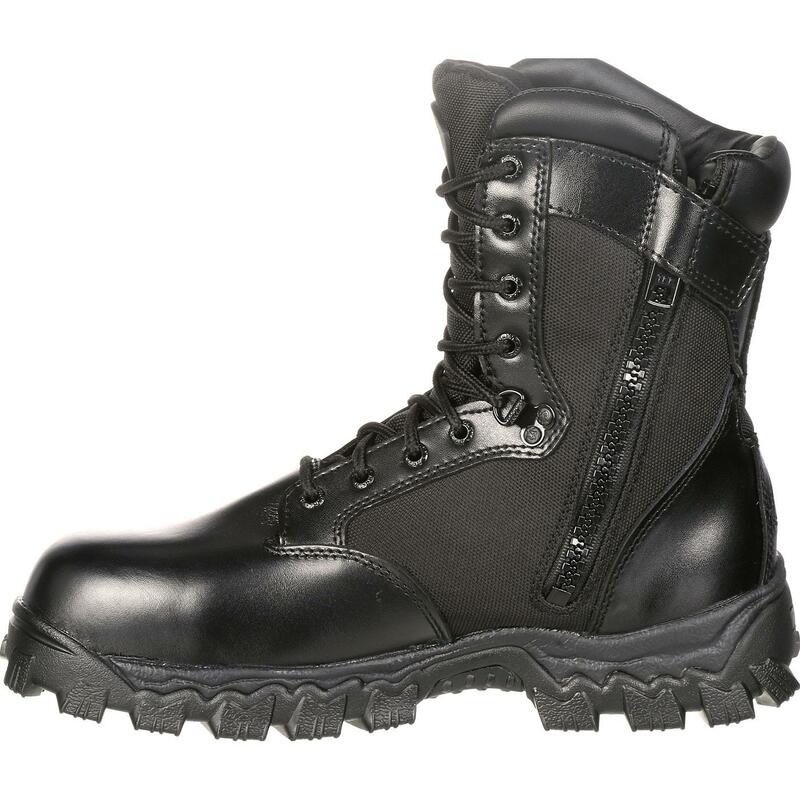 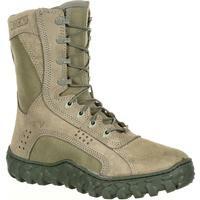 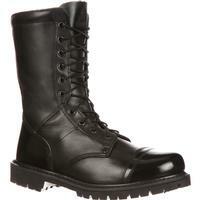 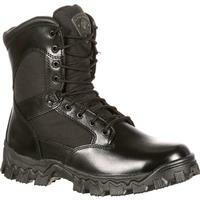 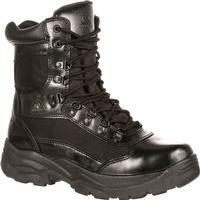 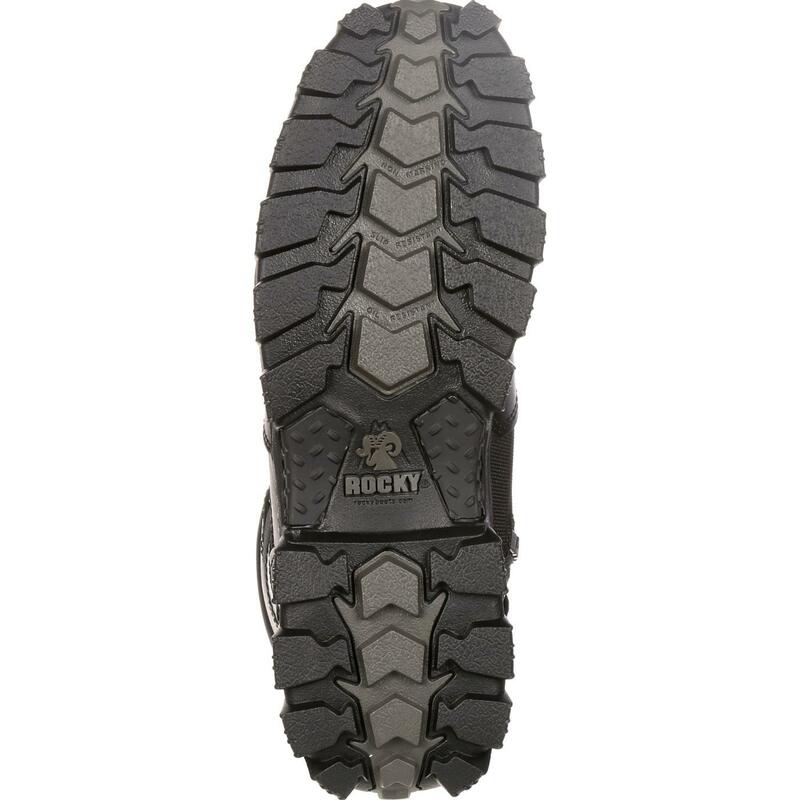 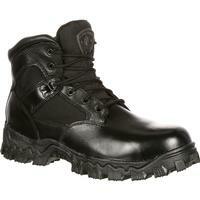 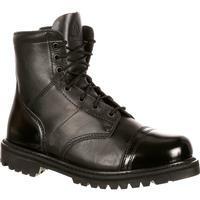 Rocky AlphaForce boots are tough work boots built to meet the job at hand. 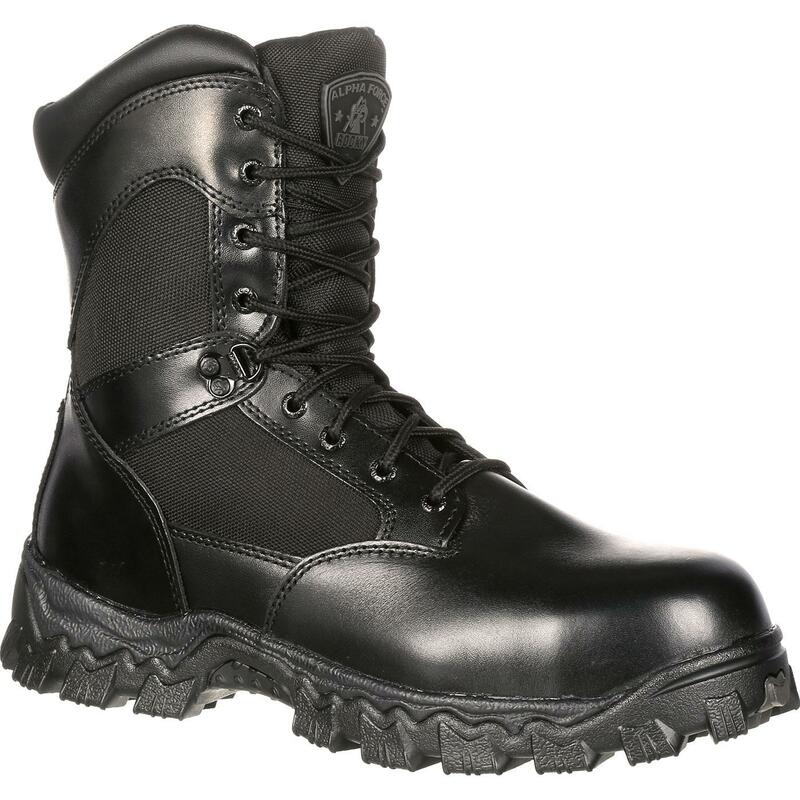 These lightweight, strong fabrics hold up even in the most extreme working conditions. 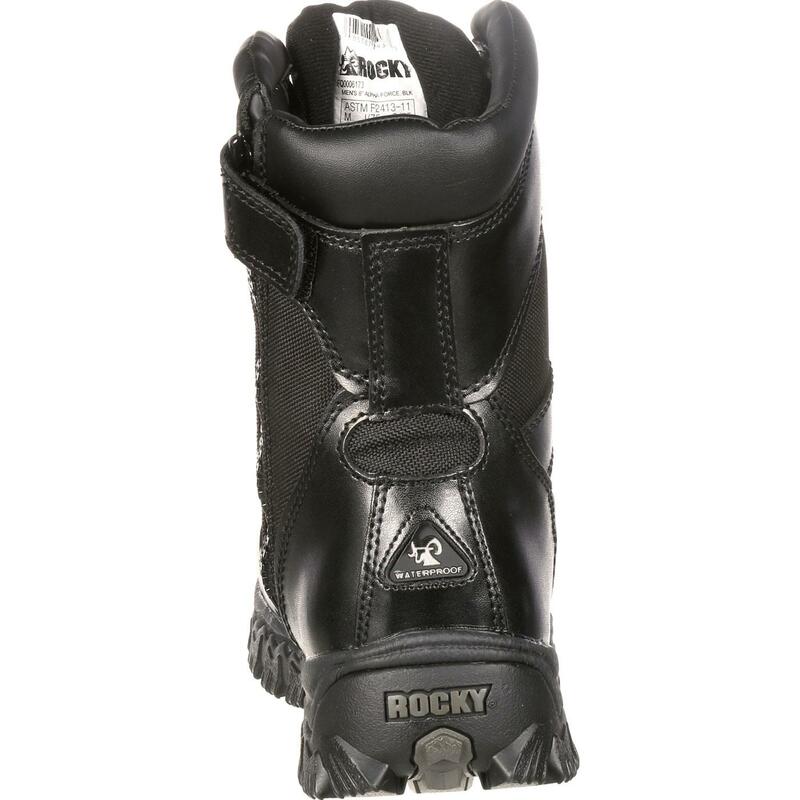 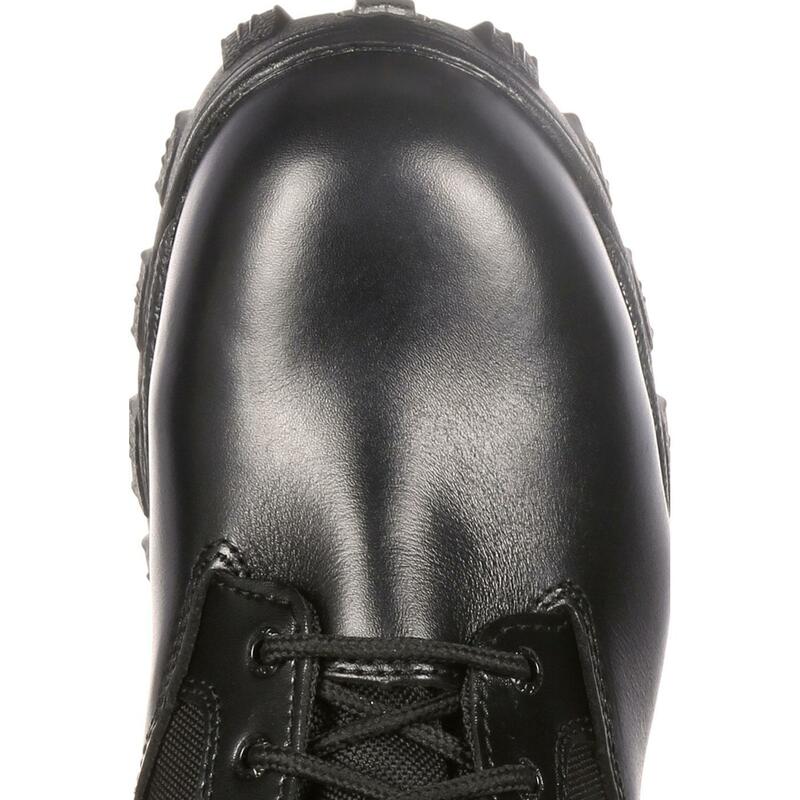 This boot features a non-marking RigiTrac™ outsole that provides oil and slip resistance. 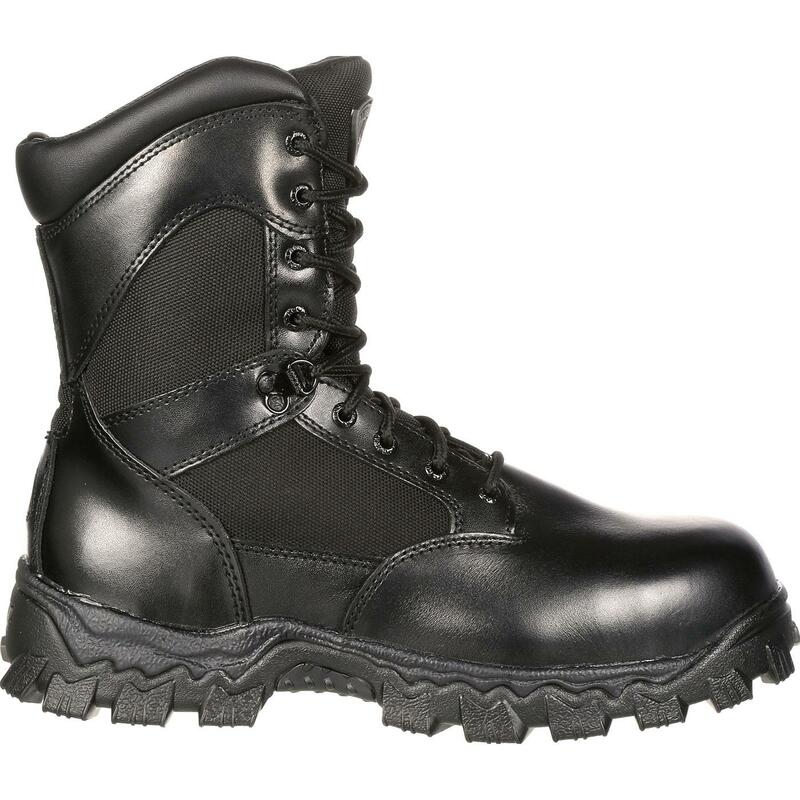 A side zipper makes it easy to get these boots on and off quickly.